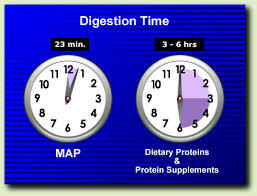 It only takes a few seconds to swallow a mouthful of food but it takes a lot longer to digest it. The election of Jeremy Corbyn as leader of the Labour Party has led to some differing reactions. Some Tories see it as the death-knell of the Labour party and are delighted. Left-wingers maybe see it as a return to the core values of the party and are delighted. Some of the shadow cabinet have refused to work under Corbyn’s leadership and it seems that he will have a major battle on his hands to gain acceptance from the right wing of the party. For some of his party, it seems that Corbyn’s policies are too extreme – they cannot accept his philosophies and so are choosing to distance themselves from them. Suddenly their political party has changed significantly and some members are no longer comfortable to endorse what it now represents by being part of the shadow cabinet. 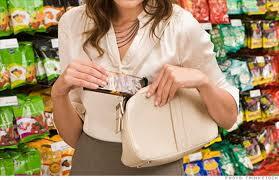 It reminds me of a client I worked with who found out that his partner was a shoplifter. He had been happy in the relationship – he felt it was secure, respectful and loving – but suddenly he found out something about his partner and it felt as if everything had changed. When a secret is revealed it is a shock, and it can feel huge. It might be about a friend, a family member, a partner. It might be work-related, or health-related. As we live with the secret for a little while, it will gradually become less huge, and we can start to assess its real impact. My client wrestled with the question of whether his partner’s shoplifting really changed anything. She was still the same loving and respectful person – was the shoplifting relevant to the relationship? Was she the woman he loved – albeit a woman with a problem? Or was she a bad person who had been deceiving him, whom he could never trust again? Putting the new information – the secret – into proper context can take time, and in a relationship this can be difficult for the person with a secret. The have known for a long time that they are a shoplifter, or a gambler, or a transvestite. It’s not a big deal, and for them, nothing has changed. Why can’t their partner just get over it? But often their partner is doing a lot of processing – reworking history in the light of new information. My client, for example, wanted to find out what his partner had shoplifted. Was he wearing stolen clothes? Reading a stolen book? Eating stolen food? 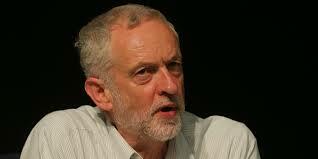 It will be interesting to see how the internal conflicts within the Labour Party develop. Will the party adapt to its new leadership? Will people accept him, respect him and learn to work with him, even if they don’t agree with him? Will some leave the party, unable to reconcile their views with his? In the end, my client decided to stay in the relationship and help his partner with her shoplifting problem. It took him time to adjust to the new information, to understand it, and to place it inside the relationship so that he could live with it. It took him time, too, to trust his partner, to believe that there were no more dark secrets that were going to be revealed to him in the future. It only takes a few seconds to discover a secret but it takes a lot longer to digest it. This entry was posted in Understanding and tagged addiction, behaviour, change, relationship, safety, secret, trust, understanding. Bookmark the permalink.